Every nine out of 10 smartphones is running on Android right now. It is no surprise then why criminal hackers and spammers are investing so much on targeting the mobile operating system. Discovering new Android malware is no longer a breaking news. However, the rate of infection keeps getting higher. If the latest research is any indication, malware apps are spreading like wildfire on Android with a new piece being discovered every 10 seconds! Security researchers at G Data predict that there will be 3,500,000 new malicious Android files by the end of the year if this trend continues. The threat level still remains high on Android despite (somewhat) timely security updates and Play Store checks. G Data added that the team has discovered more than 750,000 new malicious apps during the first quarter of this year. The lack of updates remains the primary reason why malware-infested software has become a routine for the Android operating system, security researchers said. The report warned that the problem is specifically widespread in the third-party devices because software updates become even less frequent for that segment. Only 4.9 percent of smartphone and tablet users have Android 7, which has been available since August 2016. 20 percent still use version 4.4, 32 percent version 5 and 31.2 percent Android 6.0. The problem is that third party providers do not adapt the new operating system for older devices (“older” in this case meaning one year or more). 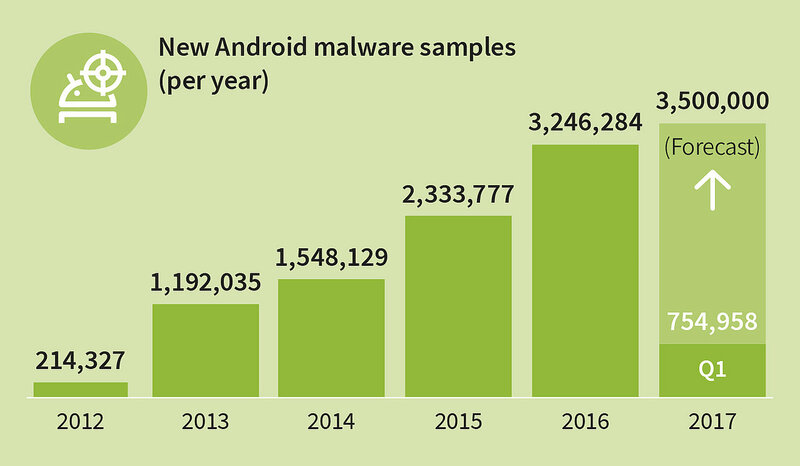 This trend started appearing last year when researchers discovered 3.2 million new Android malware samples as compared to 2.3 million in 2015. However, these figures talk about malware instances, not the number of infected apps. 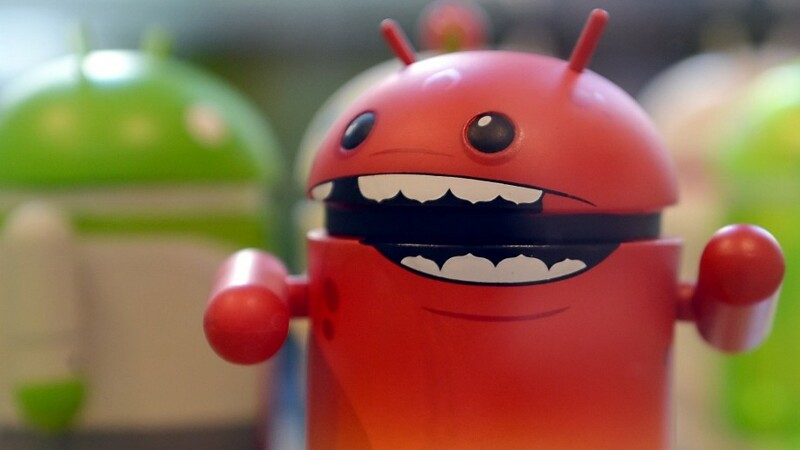 Also, most of the Android malware is discovered in third-party app stores – aka the Unknown Sources. As a user, you will need to be a little cautious to stay secure on Android, just like on any other platform. Stick to the Play Store for downloading apps, try to check the credibility of the developer, don’t fall for phishing scams, and you will be hopefully good to go. Oh, and if Google and its partners offer you, don’t delay installing security updates.